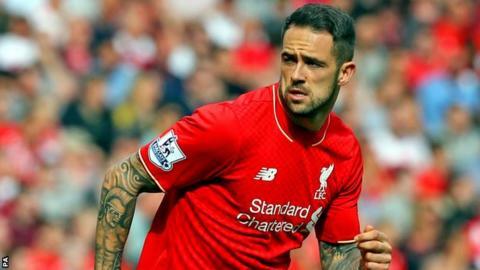 Liverpool forward Danny Ings hopes he can still prove his worth to new boss Jurgen Klopp, despite having been ruled out for the season with a knee injury. The England international, 23, suffered cruciate ligament damage in his first training session with the German. "The only way I can get in Klopp's thoughts is the way I am in the gym or by being positive around the lads," he told the Daily Telegraph. "Negativity can rub off on players. I don't want to affect their displays." Ings, who was signed by former manager Brendan Rodgers from Burnley in the summer, had scored three goals in eight games for the Reds. He also made his England debut against Lithuania last week. "I am experienced enough in my career to know it is not the end," he added. "It is a setback and, yes, I was playing and starting for Liverpool sooner than I expected, which was great. Making my England debut was a massive achievement. "These things do happen and it can be cruel but for me it is part of the game. This is when footballers really, really earn their money. "To go in earlier than everyone else and come home later than everyone else, to work as hard as you can and come back better, I have always done that. "Any injury I have had, I have come back stronger - especially mentally strong. It makes me appreciate the job I do when things like this happen."